The Canadian Society of Allergy and Clinical Immunology has been quite troubled, on behalf of our patients, by the lack of epinephrine auto-injectors for our patients in Canada in 2018. 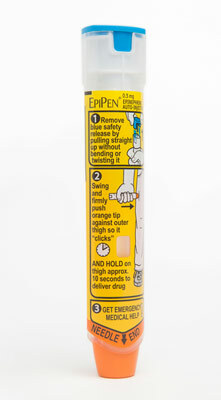 Canada presently has only one supplier of epinephrine auto-injectors and when there are supply constraints at that single source, anyshortage can affect all Canadians with a life-threatening allergy. Although multiple alternative epinephrine devices have received approval by Health Canada, none of them have found distribution in Canada and therefore, none have been reaching our patients. Over the course of 2018, EpiPens have been in particularly short supply, with Health Canada managing them via ‘preventative allocation’—a de factoform of rationing. This has worked well and resulted in a diminished impact on our patients. However, there have been times when allthe epinephrine auto-injectors in Canada have actually been entirely unavailable for purchase. Although patients have been carrying and even using expired EpiPens (which should retain potency for many months after their expiry date), this does not help newly diagnosed patients at risk for anaphylaxis, nor is it an acceptable solution in the long run. It is with this in mind, that Food Allergy Canada and the CSACI have been asking Health Canada to support the importation of devices that have already received Canadian approval, from other jurisdictions where they are already available. The ongoing shortages of these life-saving devices have continued to place our patients at significant risk, and we asked that all feasible steps be taken going forward. The CSACI always supports a robust supply of the medications that our patients need and, where possible, alternatives available to them, given the increasing number and severity of drug shortages that Canada is now facing. It is with this in mind that I can now announce that Health Canada has worked with Kaléo in the US, to provide Auvi-Q devices (previously known as Allerject in Canada) to Canadians, ensuring a more consistent supply of epinephrine auto-injectors. A large shipment is arriving and will be distributed to pharmacies throughout Canada. What is being brought to Canada are the literalUS devices, so there will be no French labelling, nor any verbalFrench language instructions from the device itself (the device ‘talks’). However, it is our understanding that there should be a French language insert that accompanies each device. This, presently, is a ‘temporary fix’ and it remains to be seen whether or not this move by Health Canada may turn into a more permanent situation, but, as previously stated, robust supplies from differing manufacturers is what we support, especially when this will enable our patients to not go without life-saving drugs. We will provide more details next week.